There are no too many car manufacturers that can brag about the fact that they exist over 100 years. Believe it or not, one of a few that surpassed the milestone is Isuzu. The producer celebrated the special date with an amazing yet limited edition of the 2017 Isuzu D-Max X-Runner. Since the D-Max come in 24 flavors you can easily get confused, but that won’t be the case with the X-Runner. The limited truck is special for many reasons and here are some, which might force you to get one of 600 examples. The 2017 Isuzu D-Max X-Runner is offered with a single powertrain. It’s the updated version of the 3.0-litre turbo diesel four-cylinder engine. The oil-burner develops 130kW and 430Nm, which comes to wheels via an all-new Aisin six-speed automatic gearbox. Truck’s fuel consumption is estimated to be around 7.7/100km. 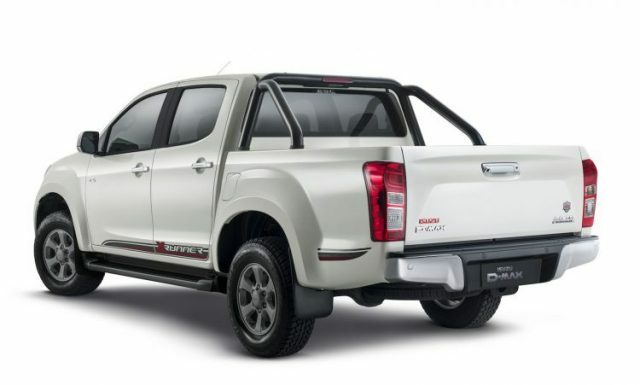 The manufactured made a number of styling changes, which makes the 2017 Isuzu D-Max X-Runner so special. The truck gets tow exterior colors – Cosmic Black and Silky White Pearl, and both fit perfectly, especially with the other details such as red badges and decals and special wheels. 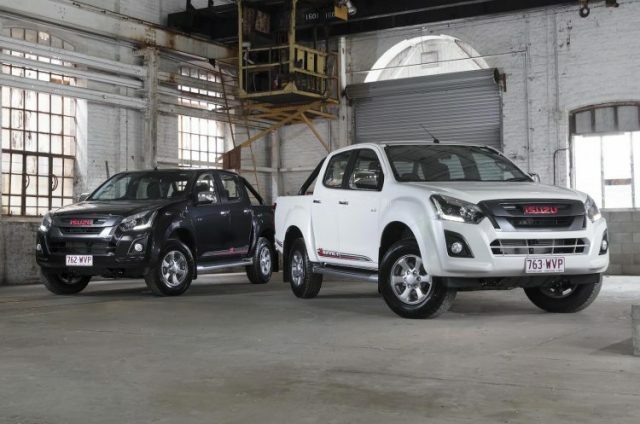 The exterior is additionally embellished gunmetal grey side steps and black sports bar, while the rear end features rear parking sensors, which you won’t find on most o the D-Max trims. The tailgate also sports “100 years” motif, which is a really nice detail. The interior is redesigned as well. Inside, you will easily recognize the 2017 Isuzu D-Max X-Runner because it packs a new dark grey trim with piano black accents. In addition, there are red and black seat trim and a cool a red badge on the steering wheel. Aside they feature red and black combination the seats sport red stitching as well. This detail is really something. The 2017 X-Runner beats other D-Max models with its standard equipment. It packs a standard rear-view camera, which sends the picture to a touchscreen media. There is a single-zone climate control and an eight-speaker audio system. Truck’s infotainment system uses a larger 8.0-inch touchscreen, while you also get three USB ports. There is also a number of quite useful electronic driver aids like six airbags, traction and stability control, anti-lock brakes, hill-start and hill-descent assist. Even though it’s a better option than the base model, the 2017 Isuzu D-Max X-Runner isn’t too expensive pickup truck at all. According to the car manufacturer, every of 600 examples will be priced exactly $46,990.